The death of David Lipscomb is of such a recent date and there is such an abundance of material that has been published concerning his life and labors that it is difficult to select even the salient points of his life and character and present them in a short biographical sketch. Again, he had such a long public career, which was crowded with so many interesting events, that it is a difficult task to select from the abundant historical events just those things which ought to be preserved and given a place in these sketches. David Lipscomb was born in Franklin County, Tenn., on January 21, 1831. His father, Granville Lipscomb, moved from Virginia in 1826 and settled in Tennessee. His father first belonged to the Primitive Baptist Church and served as a deacon in that church. He was excluded from the Baptist Church because he advocated the New Testament teaching of undenominational Christianity and opposed all denominations in religion. David's mother never belonged to any denomination, but became a Christian in her early life. Both his parents had very strong convictions and firmness of character. Brother Lipscomb's father was opposed to the institution of slavery, and in 1835, when David was four years old, he moved to the State of Illinois and set his slaves free. He remained there one year, during which time his wife and three children died. He then moved back to Franklin County, Tenn., where he married again and reared his family. His father was always interested in religious subjects and taught his neighbors and servants the word of God. David Lipscomb grew to manhood on the farm. He received such training and education as his community at that time furnished. At the age of fourteen he went to Virginia and lived a year with his maternal grandfather, who sent him to school while he was there. He made the trip on horseback, as that was the only mode of travel then between those points. In 1846 he entered Franklin College, which was then under the presidency of Tolbert Fanning, and was graduated from that institution in June, 1849. After his graduation he went to Georgia and managed very successfully a large plantation in that State. Next he moved back to Franklin County, and took a contract to help construct the railroad from Nashville to Chattanooga. 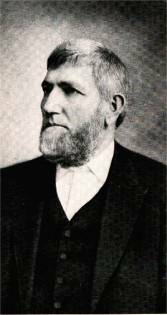 David Lipscomb became a Christian in early life. About this time the eloquent Jesse B. Ferguson, who was a very popular preacher and eloquent pulpit orator, lost his doctrinal bearings and made shipwreck of the faith. Brother Lipscomb was a great admirer of Mr. Ferguson. The churches throughout Middle Tennessee felt the shock and were greatly discouraged, and many of them were thrown into confusion, and quite a few Christians became so discouraged that they cast their lots with the Baptists. Brother Lipscomb himself entertained an idea of going into the Baptist Church, and, with this idea in mind, he purchased the standard book of the Baptist Church and made a close study of Baptist doctrine, practice, and church polity. His investigation was made in earnest, and it was thorough. He was convinced that the ground which he occupied in being simply a Christian was sufficient, and he determined to strengthen his brethren in the faith of the Bible. This called upon him to make public speeches and addresses, and soon he was rapidly developing into a preacher of the gospel. He did not start out to be a preacher, but he saw the need of such work, and the longer he remained in it, the more he could see was needed to be done. He was a successful businessman and farmer. He moved near Nashville, Tenn. While farming he also preached, and, as a result of his preaching, many churches were started. He continued to preach and encourage the churches until many strong churches were built up in and around Nashville. During the Civil War he took the position that Christians should not go to war, and he preached his conviction with boldness and clearness. This excited much opposition to him. His life was threatened, and yet he did not hesitate to preach against war, and especially against Christians' taking part in it. A military officer was sent one Sunday to hear him preach. He took a seat near the front and listened attentively. At the conclusion he said: "I am not sure that the sermon is loyal to the Southern Confederacy, but I am profoundly convinced that it is loyal to the Christian religion." 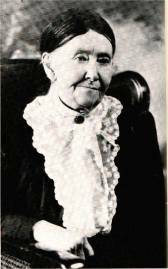 Brother Lipscomb was a great admirer of Tolbert Fanning, and after his death he raised an endowment fund equal to the value of Tolbert Fanning's property and, with the help of Mrs. Fanning, established the Fanning Orphan School, near Nashville. He was president of the Board of Trustees of that institution from the beginning to his death. In 1891, with the help of J. A. Harding, he founded the Nashville Bible School, now known as David Lipscomb College. He taught daily the Bible in the school. It was the writer's good fortune to sit at his feet daily for seven years and study the Bible. Hundreds now living will recall the rich blessing received through his teaching. On January 1, 1866, he began his work as editor of the Gospel Advocate, and continued his work as editor for a little more than fifty years. He had associated with him the first year Tolbert Fanning, who remained as an editor until 1868. During the years of 1868 and 1869 he was the sole editor. At the beginning of the year 1870, E. G. Sewell became associate editor with him, and continued as one of the editors of the Advocate until his death. Brother Lipscomb was a clear and forceful writer. His pen was facile and vigorous in contending for "the faith which was once for all delivered unto the saints." 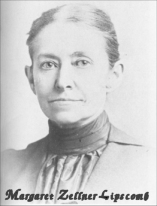 During Brother Lipscomb's career as editor of the Gospel Advocate the great questions of missionary societies and the use of instrumental music in worship were discussed fully. Brother Lipscomb took a firm stand against the organization of human societies for the preaching of the gospel, and he as ably contended for the simple worship without the use of instrumental music, as taught in the New Testament. Perhaps he did more to keep the churches in the South loyal and faithful to the New Testament order of work and worship than any other man. He had deep convictions and profound faith in God. He studied the Word of God daily and was loyal to it throughout his life. Near the close of his life he said: " I am conscious of mistakes and improprieties in dealing with the word of God and with my fellow men, but I have a conscience void of offense toward God and man that I have always done what I thought at the time was best. I have always studied the word of God to learn what is God's will, never to prove preconceived opinions. I have always tried to be true to his teachings, believing that they alone will benefit the human family." In addition to his editorial writings, Brother Lipscomb was the author of the following books: " Civil Government-Its Origin, Mission, and Destiny;" " Commentary on Acts of the Apostles;" and " The Life and Sermons of Jesse L. Sewell." These have all been published. He left in manuscript form, " Commentary on the New Testament," which has not yet been published. Some of his writings have been put in book form. The books are as follows: " Salvation from Sin," " Queries and Answers," and " Questions Answered." 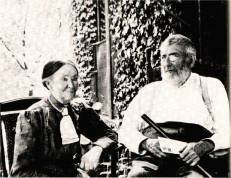 Brother Lipscomb was married to Miss Margaret Zellner on July 22, 1862. Only one child was born to them. Little Zellner died at the age of nine months of dehydration while teething. However, they reared several children not their own. Brother Lipscomb died on November 11, 1917, at the age of eighty-six years. Funeral services were held in the College Street Church, where he had been an elder for many years, by Brethren E. G. Sewell, J. C. McQuiddy, E. A. Elam, and C. A. Moore. A most remarkable man passed away when D. Lipscomb died.